Cortlandville, NY (April 16, 2019) – The passenger in a vehicle that was allegedly being operated by an intoxicated driver has been airlifted to a hospital following a crash that took place early on Sunday morning, April 14th. According to police, a drunk driver, identified as 3o-year-old Zackery Rice, of Homer, caused a seriously injurious crash at approximately 2:00 a.m. on Locust Avenue. Authorities stated that Rice had been traveling along Locust Avenue when he crashed for reasons related to his intoxication. Cortland County sheriff’s deputies responded to the accident where a medical helicopter had to be called to airlift the passenger of that vehicle to University Hospital in Syracuse. The unidentified passenger suffered a serious head injury. Police said that Rice fled from the scene on foot but was found nearby and subsequently arrested. According to deputies, Rice is being charged with felony DWI, aggravated unlicensed operation of a motor vehicle in the third degree, and leaving the scene of a personal injury motor vehicle accident, among other traffic violations. 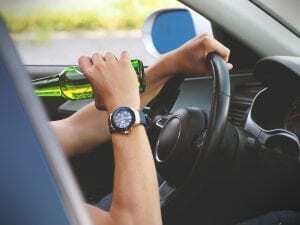 Car accidents caused by an intoxicated driver commonly result in serious injuries or death. Before moving on, we would, first and foremost, like to extend our deepest sympathies to the seriously injured victim of this crash as we maintain hope for their full recovery. Following a New York car accident, it is important to understand that, as victims, you may have significant rights, especially in the event that you were not at fault for the accident. At Hach & Rose, our attorneys have dedicated their lives to those who have been affected by reckless or blatantly criminal drivers. We recognize the physical, emotional, and financial burdens that arise in the aftermath of a serious accident. If you have suffered a serious injury in a motor vehicle crash due to the actions of another party, please do not hesitate to call 212-779-0057 today.